The quickest draws in the universe, their motto: No guts, no glory! 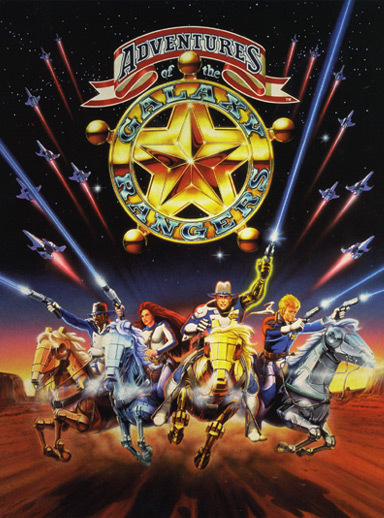 Galaxy Rangers, or to give it its full title The Adventures of the Galaxy Rangers is a Japanese-American animated TV show that was broadcast between 1986 and 1989. The show successfully blended Sci-Fi action themes and stories with traditional Wild West themes. US. Alpha Flight. 1987. 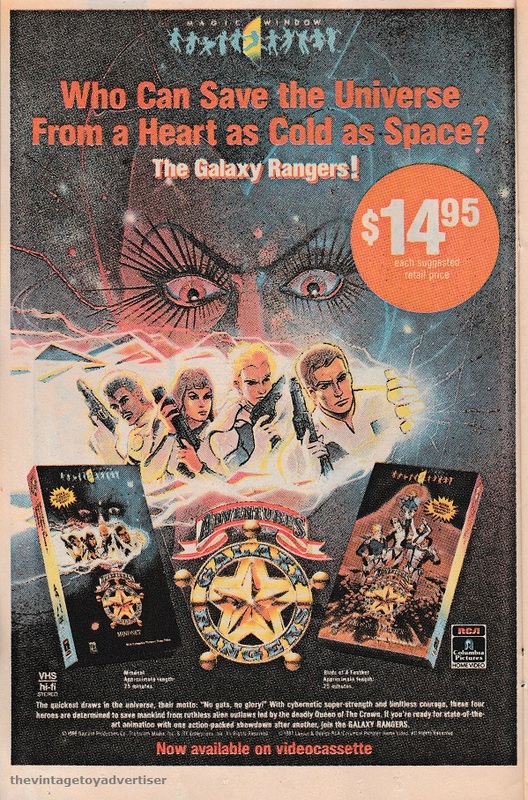 Galaxy Rangers animated series on VHS videocassette. France. Pif Gadget. 1988. 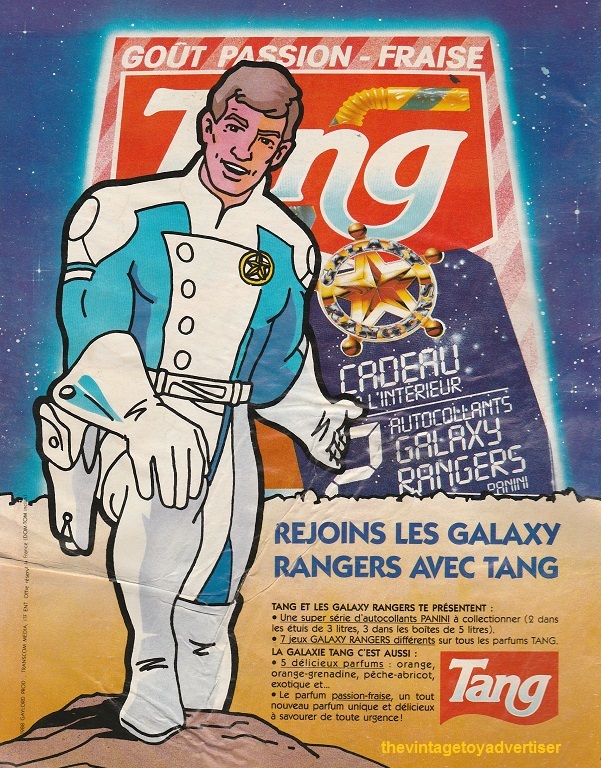 French promotion by the soft drink brand Tang for free Galaxy Rangers Panini stickers and Galaxy Rangers games found inside packs. This entry was posted in Galaxy Rangers and tagged 1980s, 1980s sci-fi wild west animation, Galaxy Rangers, Galaxy Rangers Tang France, Galaxy Rangers VHS, The Adventures of the Galaxy Rangers, TVTA, vintage advertising, vintage adverts on January 8, 2018 by The Vintage Toy Advertiser.